Finding a new career path is never an easy task, especially if you are unsure of where your true interests lie. At the same time, many people are going to be looking for something that can provide them with steady work and give them a number of different options when it comes to career advancement. For those who want to enter the medical field, becoming a CNA is probably one of the most logical steps. CNA stands for certified nursing assistant. 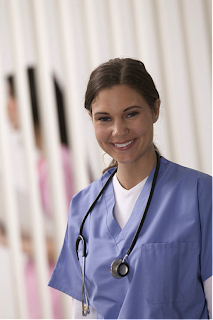 As a nursing assistant, you are going to be working in a number of different places. Some CNAs will work in hospitals while others are going to help out when it comes to patients living at home, in assisted care facilities and in hospices. Before you decide to go for a job like this, you are going to have to make sure that you find somewhere that can give you the proper qualification. If you are interested in CNA training, then you will need to make sure that you are able to fund your studies. You will need to have a look at courses and find out how much they cost. You also need to determine how long a course like this is going to last so that you will be able to plan things out for the future. Most CNA courses are going to last about a month full-time, although there are a lot of places that will give you a much more flexible option. This is going to mean that you will be studying for longer, but it is often easier to juggle with work. There are different places that you can go in order to receive your CNA. A lot of people are going to go to a community college. Before you do this, you need to take a look at the courses that are actually offered by your community colleges. You may need to look farther afield if you cannot find what you are looking for nearby. Thankfully, there are different options as well. You can also look online in order to find better nursing certifications to suit your particular learning needs. For many people, time is going to be a huge issue and therefore it is necessary to find a course that suits you. While you are in school, it is important to make sure you have enough time to devote to your classes. You may have to attend class part time to be able to care for your family or to work. You can of course do the course full time and get a part time job, but a lot of people are going to try and get a part-time course that will serve them better with full time work.